Sometimes there's just too much great going on to properly process it all. Such is the case with the upcoming Netflix series that just cast national treasures Sam Waterston and Martin Sheen as husbands. It's already filling us with joy and we haven't even seen the pilot yet. The show in question is one we need the premiere date for right now. Called Gracie and Frankie, the show stars Jane Fonda and Lily Tomlin as two women whose husbands leave them for each other. It's being brought to us by Friends co-creator Marta Kauffman. Did all of those words just make you as happy as they made me? Because they made me very happy. 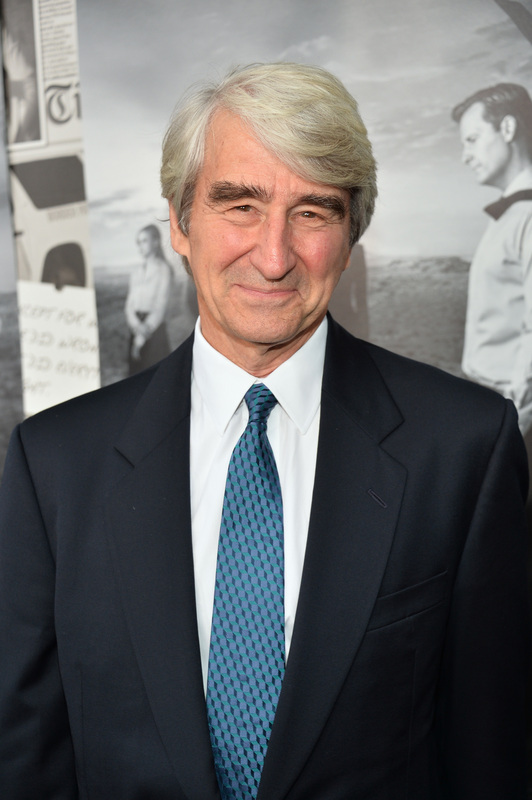 Waterston, most noted for his long run as Jack McCoy on Law & Order as well as his roles in The Killing Fields and The Newsroom, will be playing ex-husband to Tomlin. Sheen, who you may know as benevolent President Bartlet in The West Wing, will be playing ex-husband to Fonda. They will both be playing current husbands to each other. So let's get this straight: We've got a 9 to 5 reunion (bonus points if they get Dolly Parton to guest star, though that might cause me to pass out), and we've got two Sorkin alums playing husbands — with a third Sorkin alum (Fonda) playing the ex-wife of one of them. This already sounds legendary.